Because we ship all over the world and shipping costs vary by location, shipping costs can vary significancy. We do not markup or make a profit on shipping costs. Shipping costs also vary by weight, so the heavier the order, the more it will cost to ship. 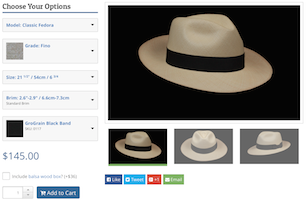 To give you an estimate, an order with one Panama hat shipped to the United States typically costs about $29.00. You will see an exact shipping quote for your order as you begin the checkout process. Your payment information is not required to receive an exact shipping quote. Why are your Panama hats so much cheaper? Well, the simple answer to that is that we make less on the sale of each hat. Many factors are involved with our ability to offer them at lower prices, such as our location in Ecuador where the hats are made, our hat shop which is located in Ambato, Ecuador, as well as we have an office in Montecristi, so our operating costs are much lower then other places- and by the way... that is where we get our name "Panama Hats Direct"! The product is made by the same weavers in the same town as any other genuine Panama hat company. The finishing details will be different between each company, but we are not left behind in quality in any way! How do I maintain my Panama hat? In a few years, you may want us to clean, reblock & repair your hat. We are happy to offer this service to you- in fact we are the only company that makes this service available, because although some other hat shops may be able to block a good hat body, they are not able to repair the straws if there are any broken ones. If they try, they simply glue the straws, but we can actually remove a broken straw and replace it with a new straw! This process is very tedious and very difficult to do, so we only service our hats in this manner. If you purchased your hat from us, then we can help you with any repair and shaping problems you may have anytime in the future- just contact us. If you order from our in-stock inventory, your order will be ready within just a couple days. However, if you design your own Panama hat, we would need some more time to finish an order before it is ready to ship. Once we have completed your order we will use the method you selected at checkout to ship it. If we have your hat in stock it will ship in a couple days. If we do not have it in stock we need to block one up for you. If for some reason we do not have the grade of weave you need, in order to block we need to go and find a hat body that will work for you. It is faster if we find it among our stock of unfinished hat bodies, but if not it gets a little harder as we need to in the countryside to the weavers and look for a weaver that is finishing something we can use for your order. Perhaps we can find someone that has been weaving for a while on a hat body and we just need to have him finish it off to your specifications. In short, if you need your hat by a particular date, please add a comment in the comments box when you place your order and we will rush it if needed, or make some other arrangement with you. Shipping time depends on what method you selected when you checked out. We offer two main methods: Standard Mail and Express Mail. Standard mail From Florada: 9-12 business days - this means we first ship in bulk your order with other orders to Florada, Using Express Mail Service then we repack the hats and reship from our location in florada. Express Mail direct form Ecuador: 5-7 business days - we ship from our ofice in ecuador directly to you, but this is not recomended it is not only Way over priced but many times dosent arrive any faster. All shipping times are on average, not a gurentee, and we still need time to finish your hat before we can ship it. Generally we need a week or more depending time of year, and weather or not it is stock item or a custum order. If ever you need a better idea of when you will recive it please contact us directy. We have seen cases where Express Mail takes longer then 15 days. This is not a guaranteed delivery time frame. Remember this is an international mail. If it does take longer, the post office will not refund any shipping, so it is better to plan on it taking a little longer. We will email you a notice when we ship so you can be watching for it. Also keep in mind that this is a selected delivery option- it is not the time frame in which you should expect delivery since we need varying amounts of time to get it ready to ship depending on your order. Each order is different, so once we have your hat ready to ship we will use whatever method of shipping you selected at checkout. RUSH ORDERS: Yes, we can rush your order! If you need your hat in a special hurry for some reason, then let us know and we will be able to place your order ahead of other orders in order to ship it faster. On some occasions, we are even able to ship the same day, but it is a lot of extra work for us to pay special attention to one rush order and perhaps make a special shipping run to the post office to ship one package, so we may ask for some compensation for this extra work in some cases. When you do want to rush an order you will need to let us know by adding a comment in the comments section of the order checkout and you really should call us after placing your order and speak to us directly to be sure we have seen your special request and are giving it priority. Some times of the year are very busy for us and we need all the warning we can get! If you haven't done so already, download our measuring tape from our sizes page, or click here. To ensure that the tape measures correctly, you need to be sure that you print it correctly. The print scaling must be set at 100%- do not allow your printer to scale it down to a smaller size. If you have printed the file correctly, you should be able to do the penny test, and a penny should fit perfectly inside the circle while you can still see the black line. When you have assembled the tape, you will notice that the letters "Panama Hats Direct" will look upside down when you are measuring with it- that is correct (for now). It is best if you have someone else taking the measurement the way you would like the hat to fit. Don't compensate or adjust for anything- that is our job. Give us the measurement that feels the best, and we will custom build the hat to fit you. Wrap the tape around your head just above your ears and across your forehead just where the leather sweat band of your hat would lay. What if after all your hard work of putting the tape together, it just doesn't look right or it is not what you thought it would be? Well in this case, it would be best to verify that the PDF measuring tape was really printed correctly. When it is printed incorrectly, it will usually show a size about 3 sizes larger then you really are, so if that happens then it is pretty sure that it printed incorrectly. So to verify, please find a standard flexible measuring tape that is used in sewing- the vinyl ones work well. If you measure and it comes out similar to our measuring tape, then your tape printed correctly. If it is very different, then it did not print correctly and instead of having you try to reprint it again, just give us the measurement that you got off the flexible vinyl tape and put that in the comments box at the end of the checkout or email it to us. What size brim should I choose? 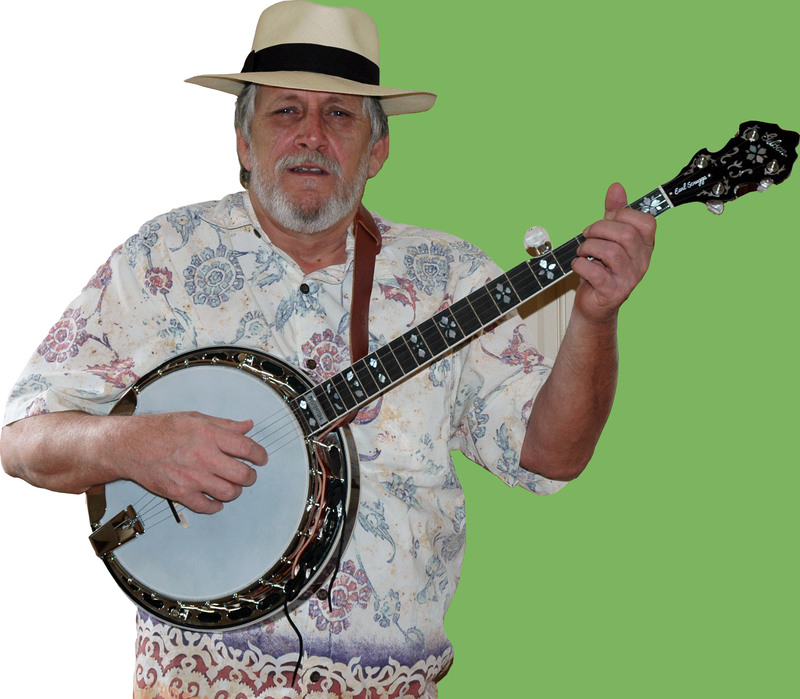 How do you determine what brim size you should select? Well this is a difficult question for me to answer because a lot depends on your personal taste and where you live. For example, if you are in Texas you could easily get away with wearing a 4" brim and you would fit right in. But if you were in downtown New York City, then a standard size brim would fit in much better, based on the community. Wider brims tend to look more western while shorter brims look more fedora style and more city style. The brim can change the look quite a bit so give it some consideration. Also, if you are thinking of a large brim, err on the conservative side- a little short rather then a little larger. But of course also factored in this is your personal taste as well as your personal body build and character, all of which I am not able to answer for you. However, generally the larger the person is, the larger the brim can be and still look in proportion. How big is a standard brim? The standard size brim is between 2 1/2" to 2 3/4" and sometimes can reach as much as 2 7/8". This applies to all Montecristi hat models, so if you order a Plantation with a standard brim, it will be very similar to a Fedora because what makes that hat different is the larger brim. What is the Cuenca brim size? Cuenca hats have a 2" to as much as 3" brim on occasion, but they are not really something we can custom make for you. Cuenca hats are pre-built mass produced hats, so we can only take from what is currently available. This, of course, does not apply to all of our Montecristi hats, which are all custom made by hand. Can I specify a smaller brim? Yes. If the brim size that you want is not available in our current inventory, you can go to the Panama hat designer and create your own with any size brim you like! How do I order more hat bands? While you're purchasing your Panama hat, it's a good idea to pick up some extra hat bands. They're great as spares, or swap them out to make your Panama hat suit every occasion! To add bands to your order or just order bands separately, just go to the Hat Accessories page and you can browse from over 70 different styles of hat bands that we offer. You can add as many as you like to your current order, or place an order for just bands. What is the sweat band for? Still have questions? We're here to help! Feel free to contact us. 1. Each of our hats are unique, handmade, and shipped directly from Ecuador. 2. You can design your own custom hat using our online hat builder. 3. You're not charged until the day your order ships. 4. Wearing a genuine Panama hat will make you feel good, and look even better.